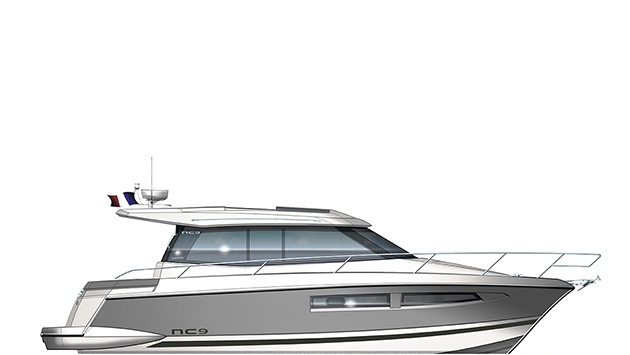 New for the 2019 season we would like to introduce you to the NC 37. 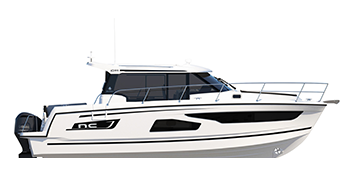 The concept of the NC line is life lived on one level meaning that movement about the boat is effortless. 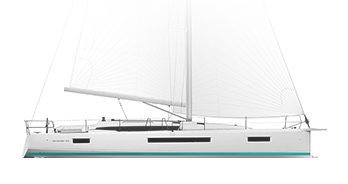 An ergonomic design and fluid layout perfectly characterize the spirit of these models which range from 30 to 46 feet. 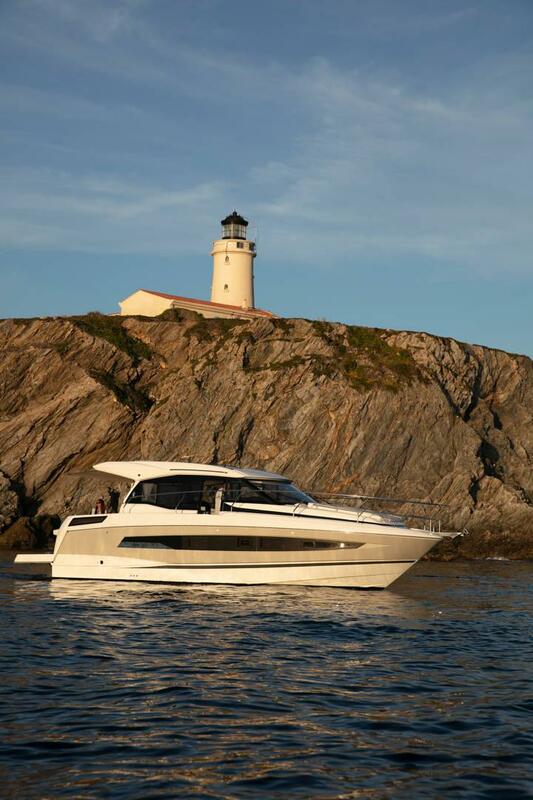 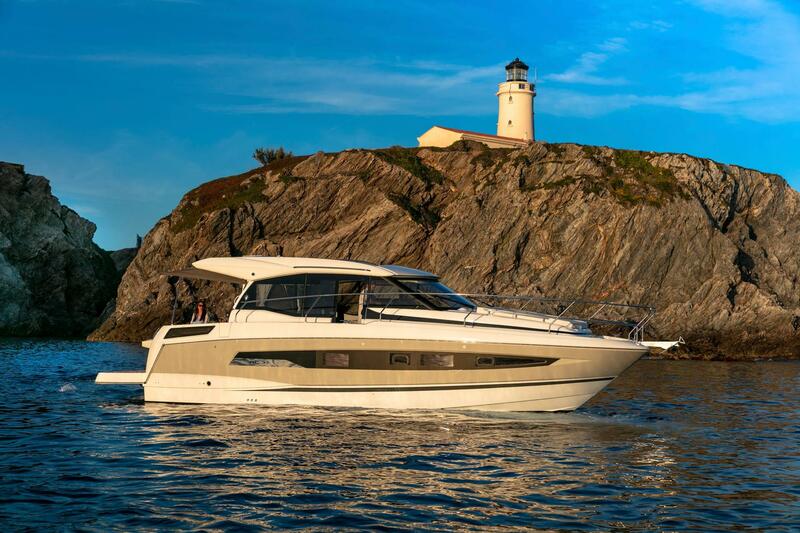 A hull designed by Michael Peters ensures reliable and secure handling at sea. 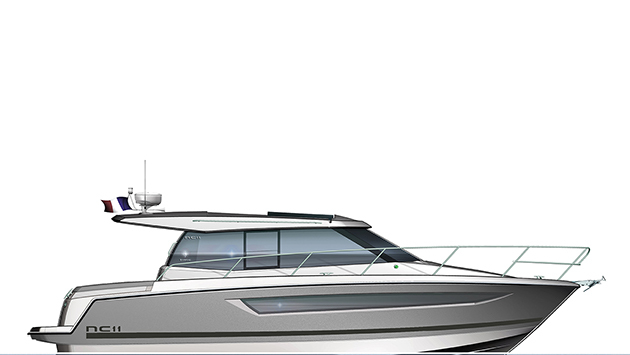 The NC 37 features recessed sidedecks, as well as a side door at the helm station which allows direct access to the decks while cruising. 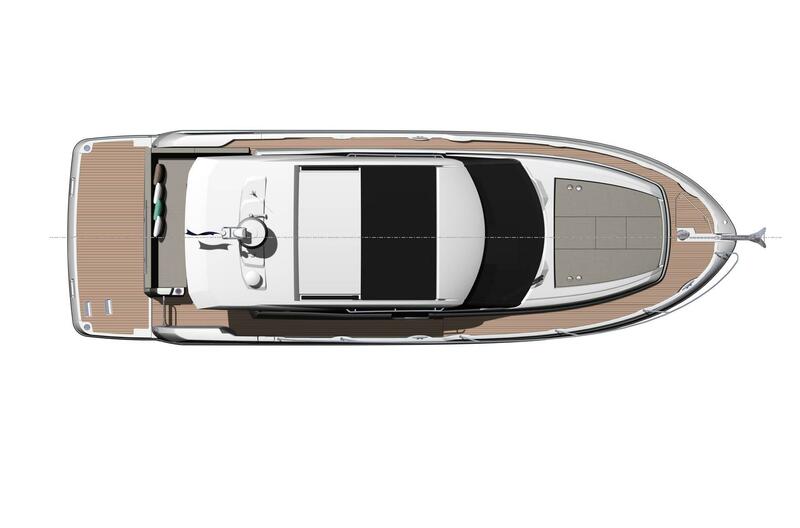 First implemented on the NC 33, the side access door is now among the key features of the line. 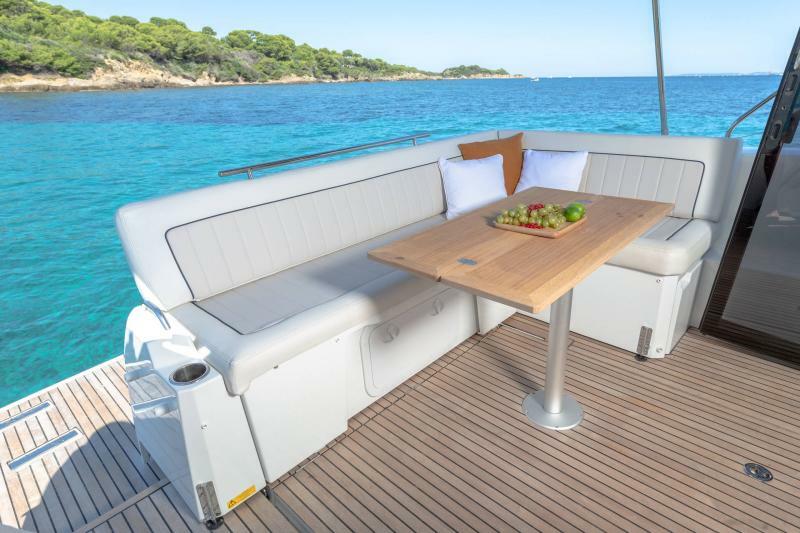 An indisputable improvement for safe access on board! 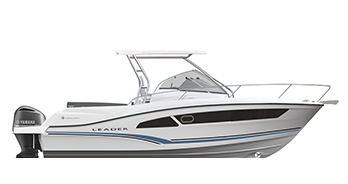 This new model benefits from the latest innovation in the series: the large sliding glass door opens fully onto the aft cockpit. 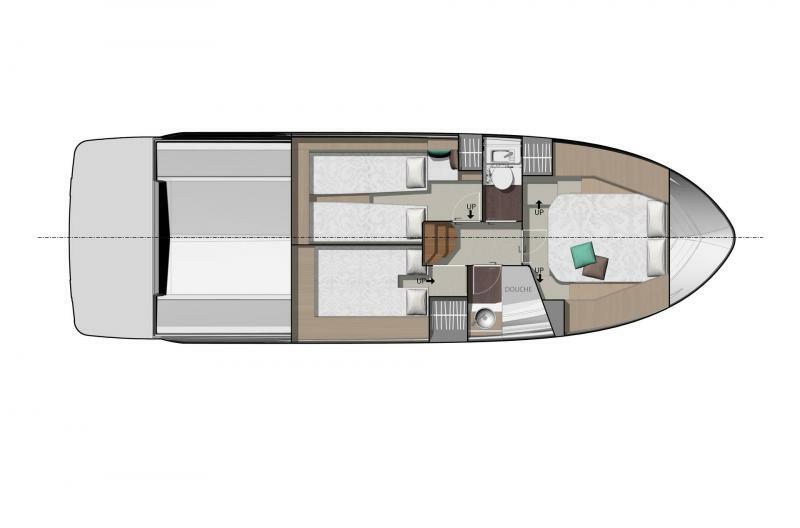 The NC 37 offers an sizable living space, with a large interior salon, central galley and exterior cockpit. 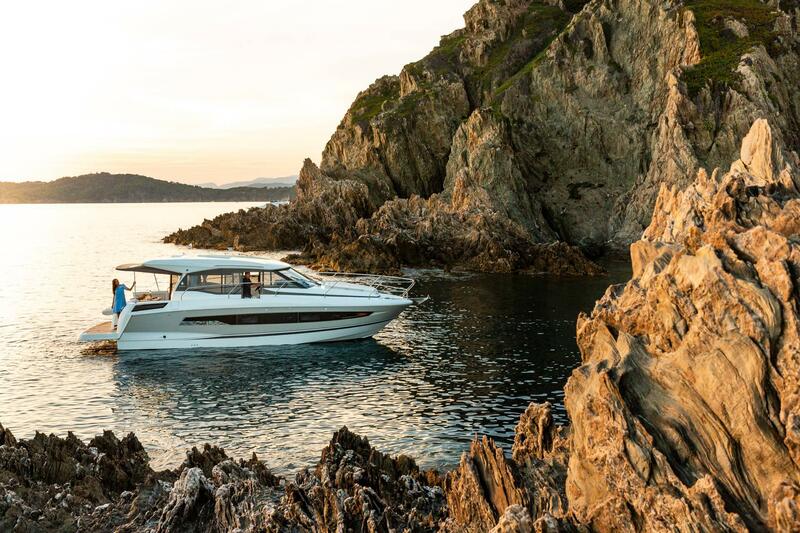 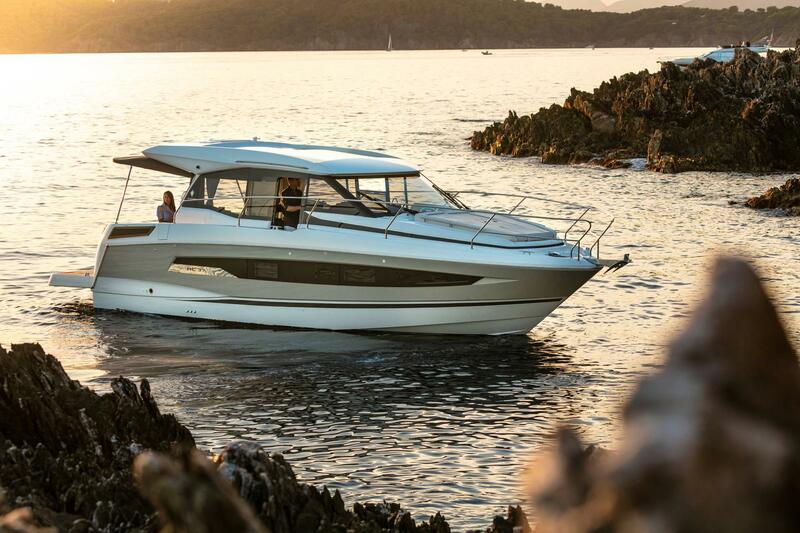 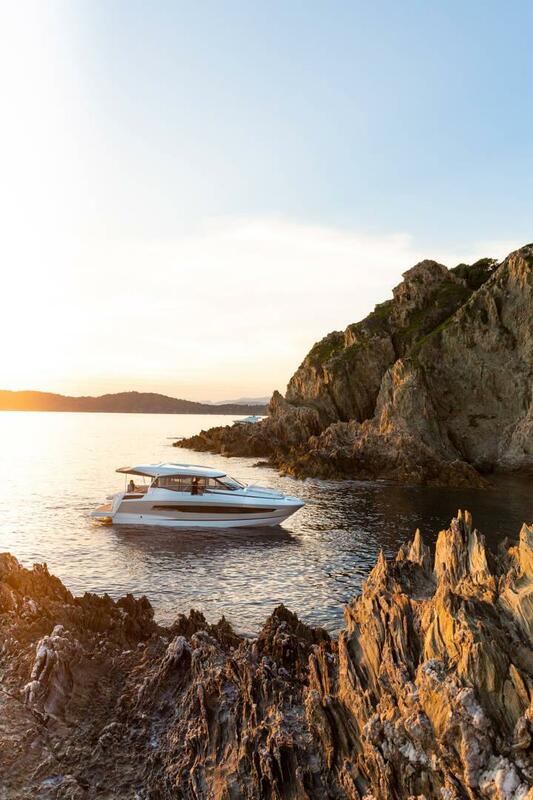 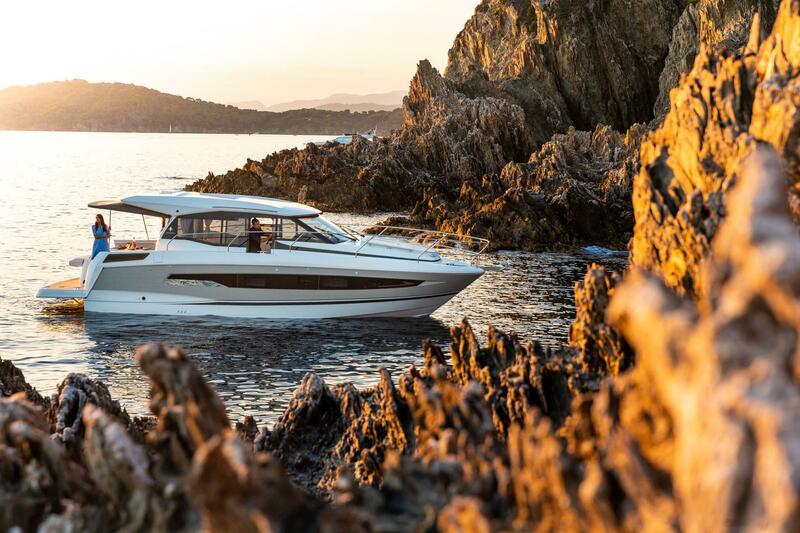 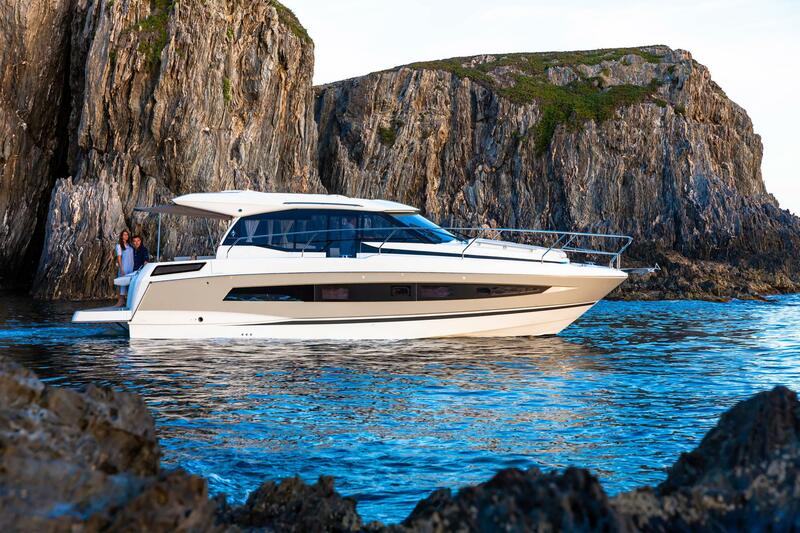 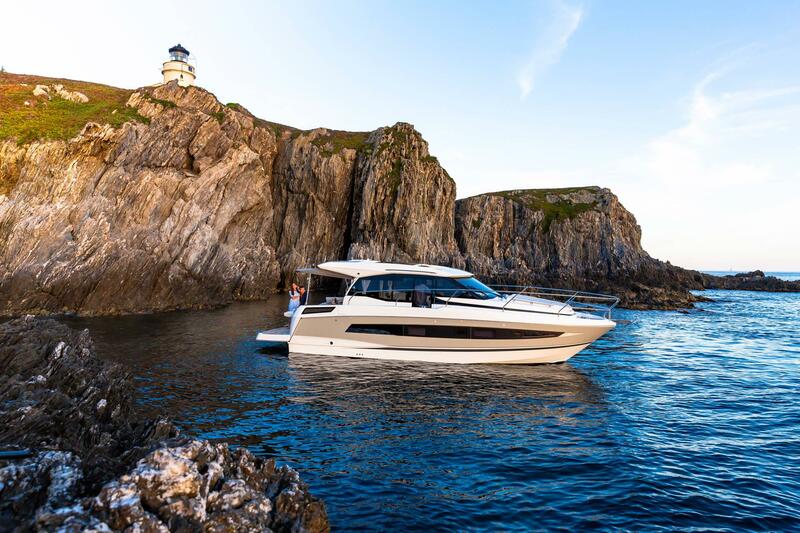 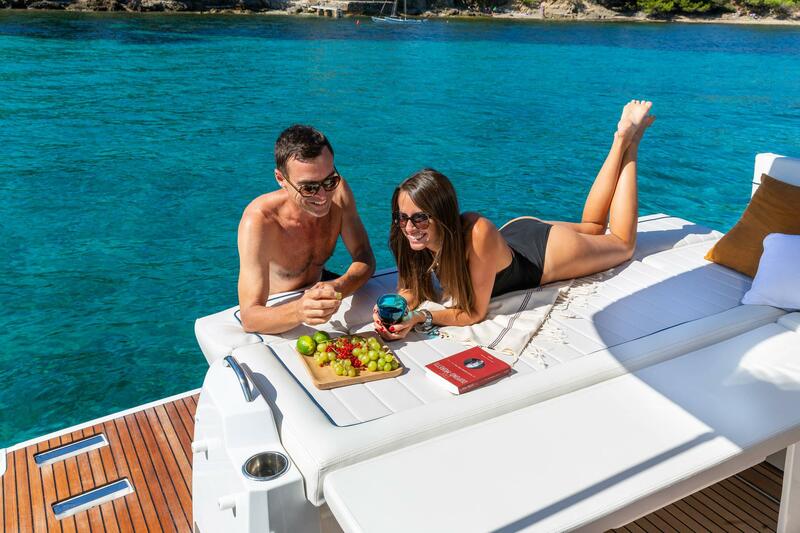 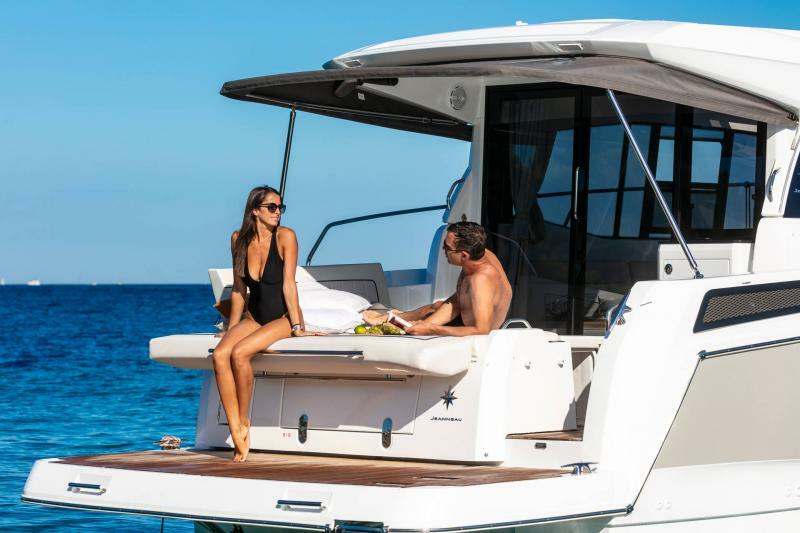 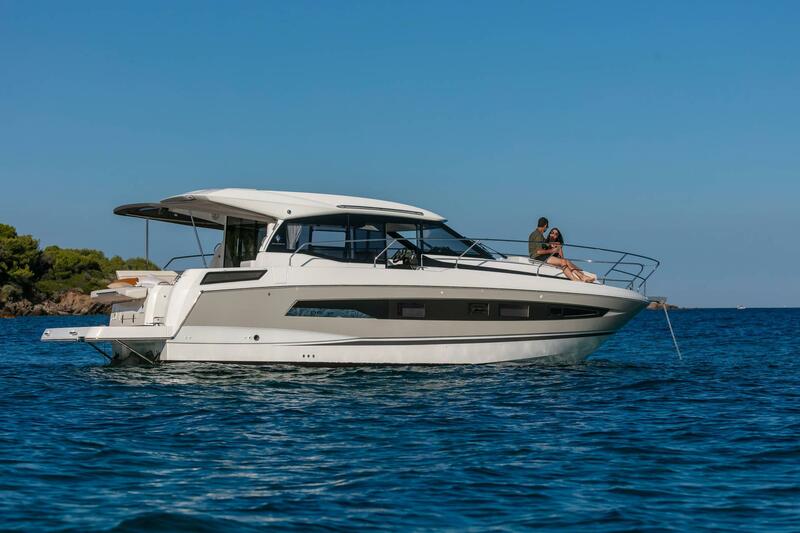 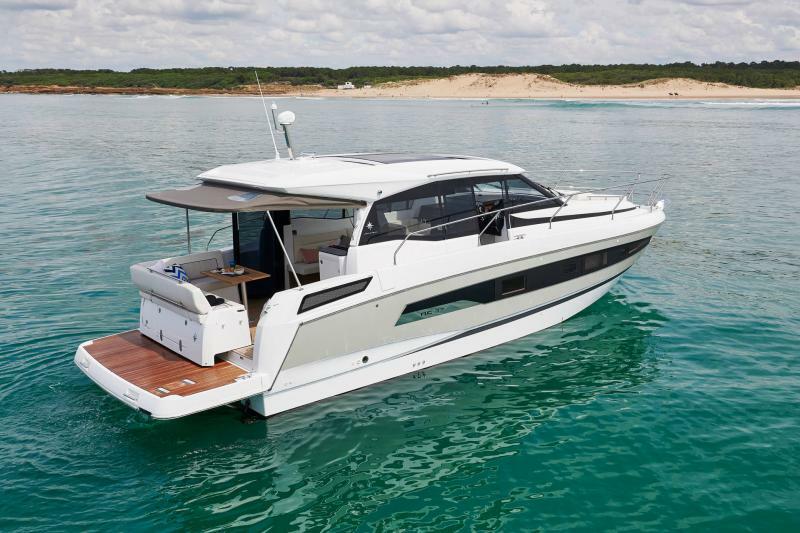 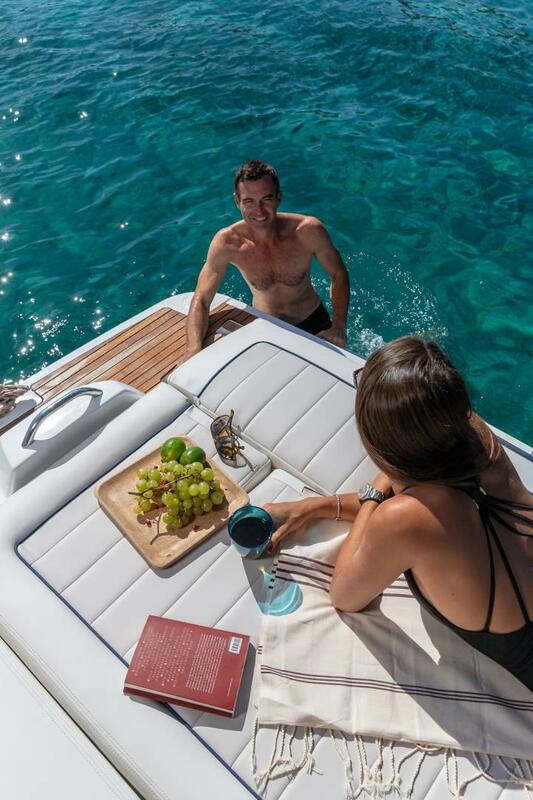 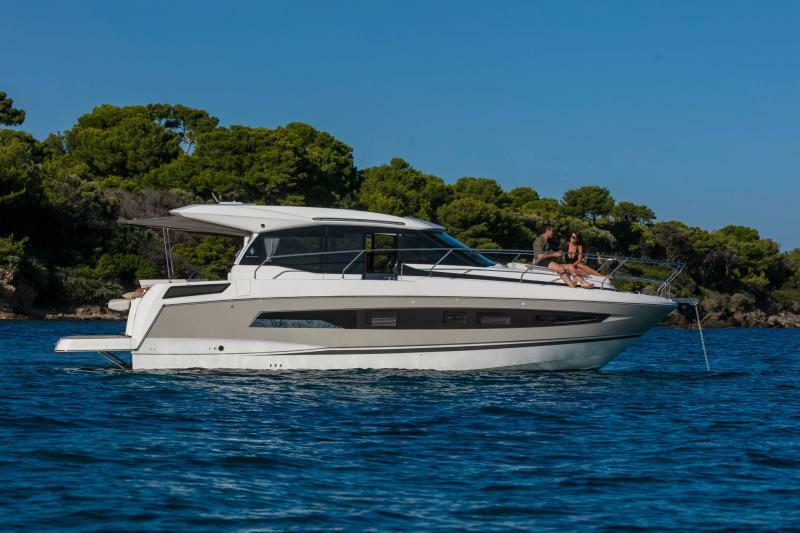 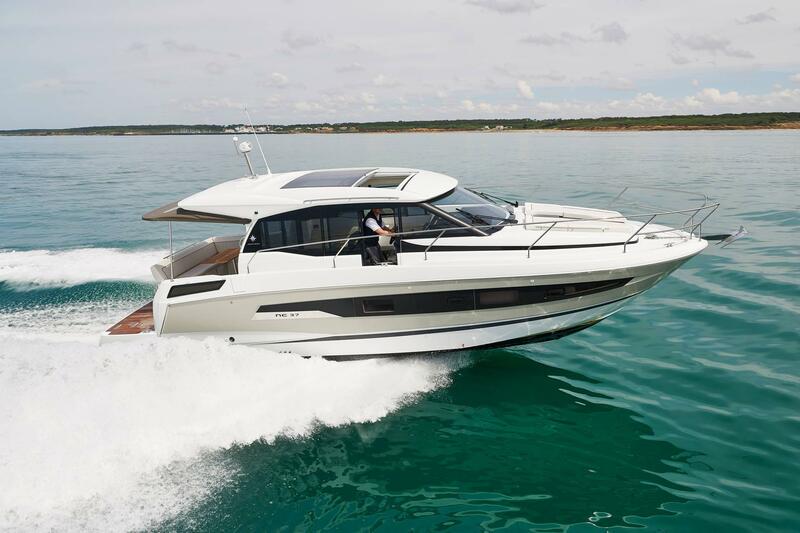 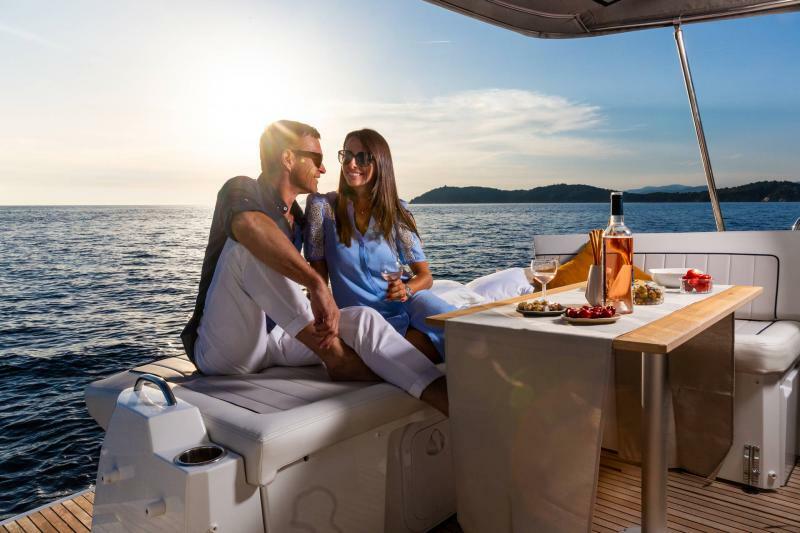 With her modular, L-shaped aft cockpit, which can be converted into a sundeck, the NC 37 is comfortable space for entertaining. 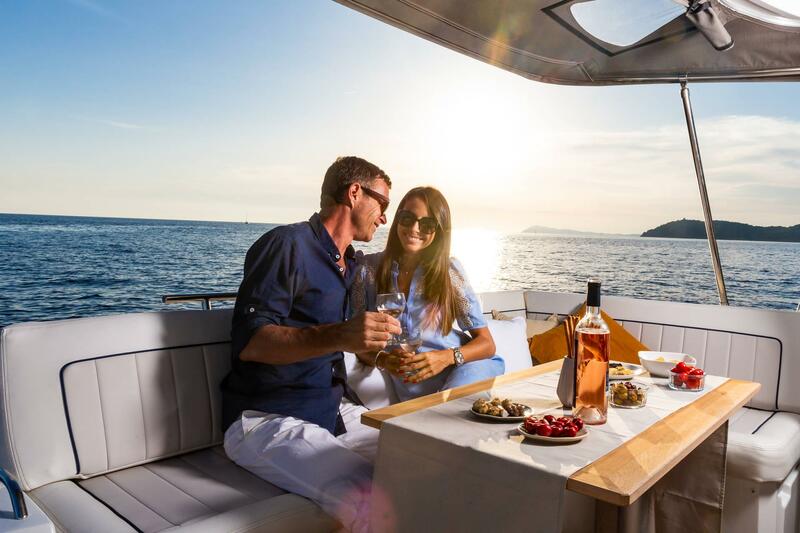 Forward, the large sundeck can accommodate a canopy for sun protection and offers numerous storage compartments. 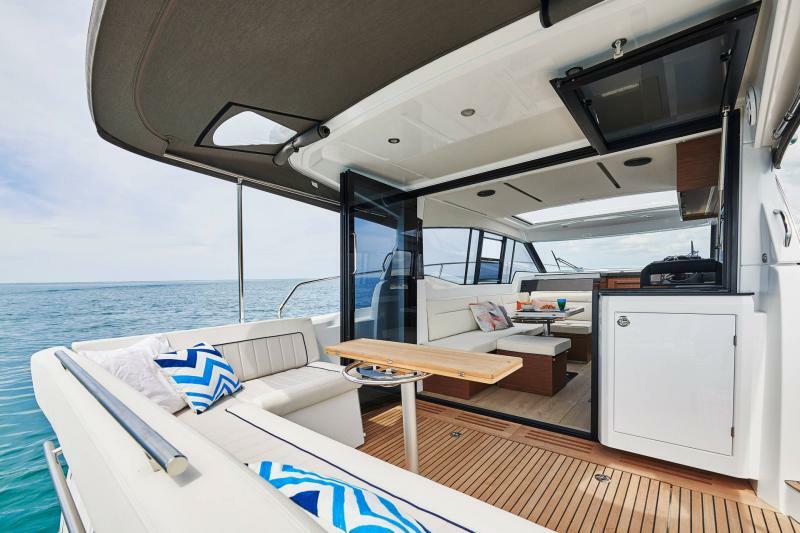 The panoramic windows and very large open sunroof bathe the living space in light. 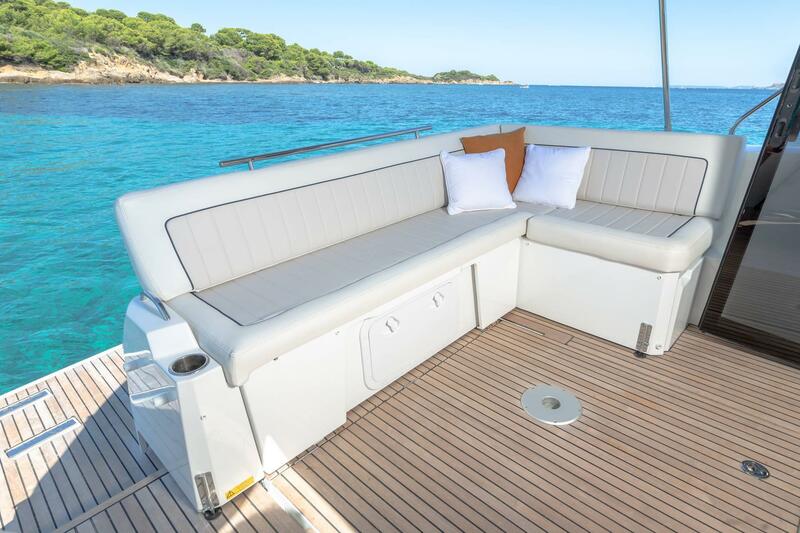 It is also worth noting the presence of a «SUNSHADE» that extends from the roof for sun protection on the aft cockpit. 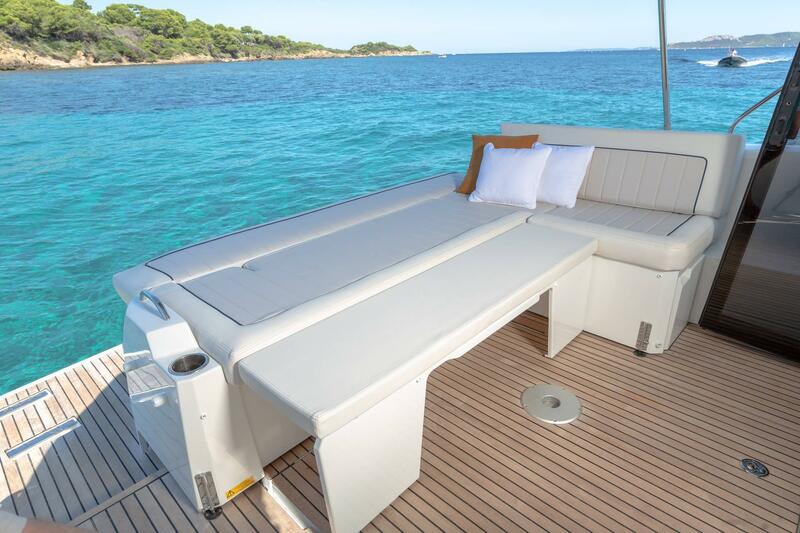 The co-pilot bench seat can be converted to transform the space into an L-shaped seating area. 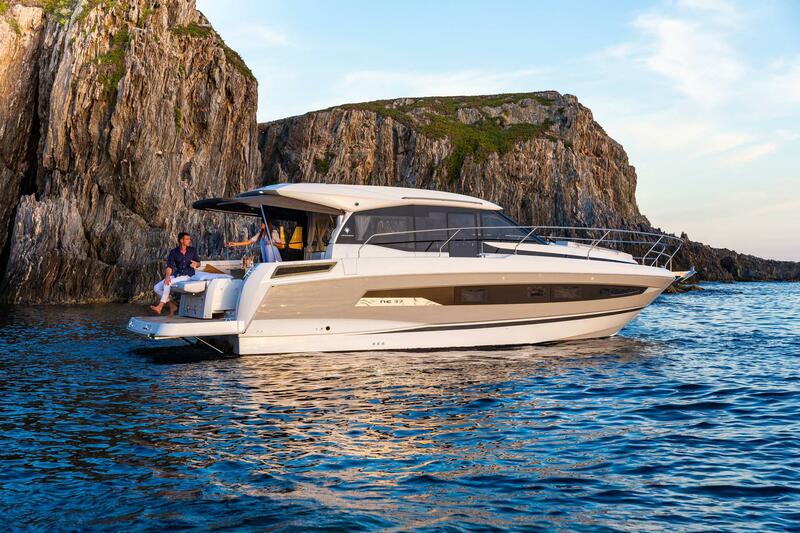 Down below, the guest cabin and owner’s cabin (similar in size) both offer comfortable standing headroom. 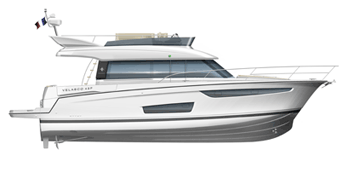 A third cabin configuration is available or can be used as a storage space. 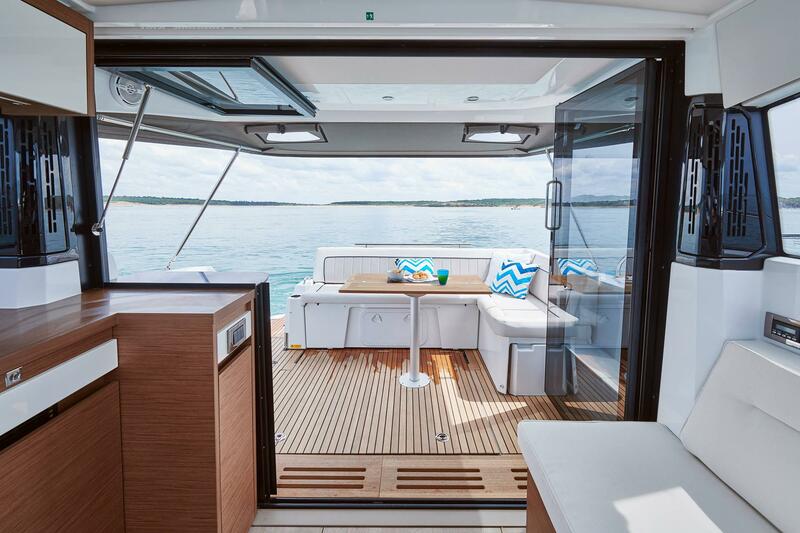 A second refrigerator can be integrated into this space. 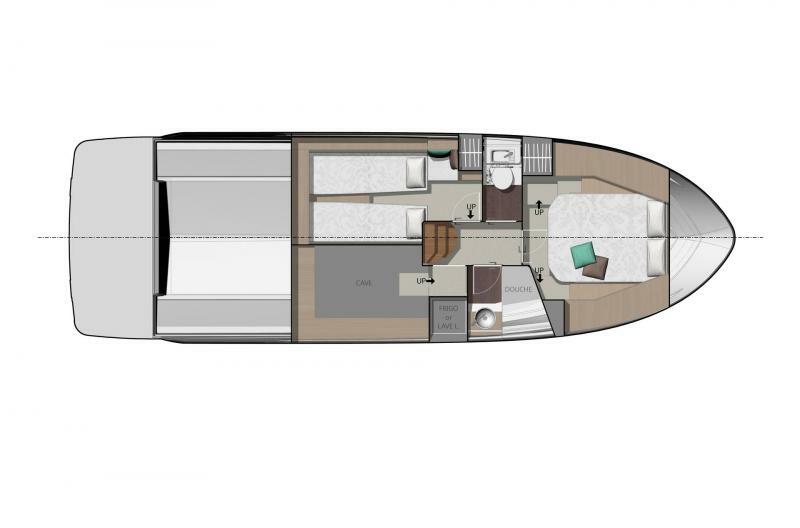 The NC 37 has a bathroom with separate shower compartment and separate head compartment. 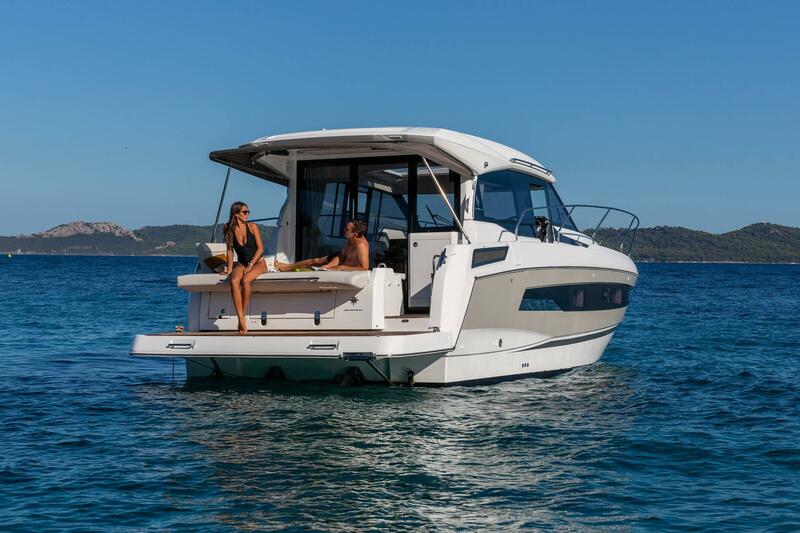 This is a unique feature on a boat in this category! 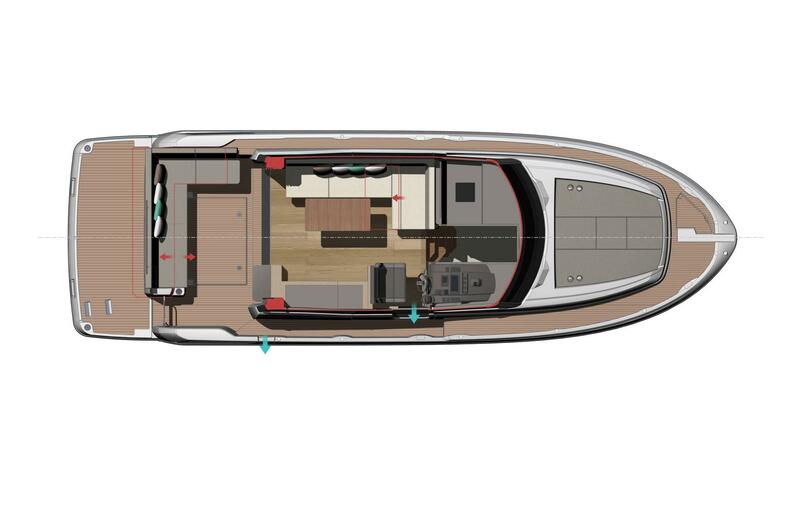 This well-proportioned and inviting interior also facilitates life on board with a multitude of storage compartments.